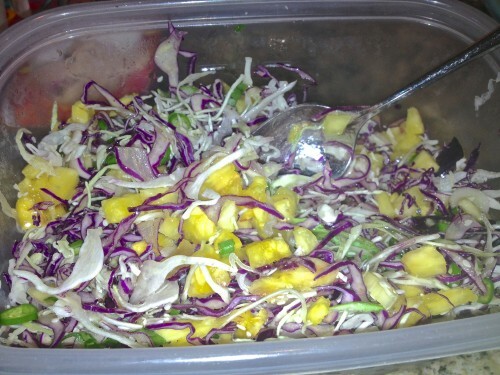 Let these little gems slide off your plate and into your mouth. I have never seen the beautiful waters of Hawaii or taken a bike ride down the side of a volcano, or seen the pineapple fields or been there to bring back cans of macadamia nuts to friends or even sat on the beach enjoying the hula dancers as we chowed down on an elaborate luau. It’s been a year since my daughter and her husband got married (how time flies). 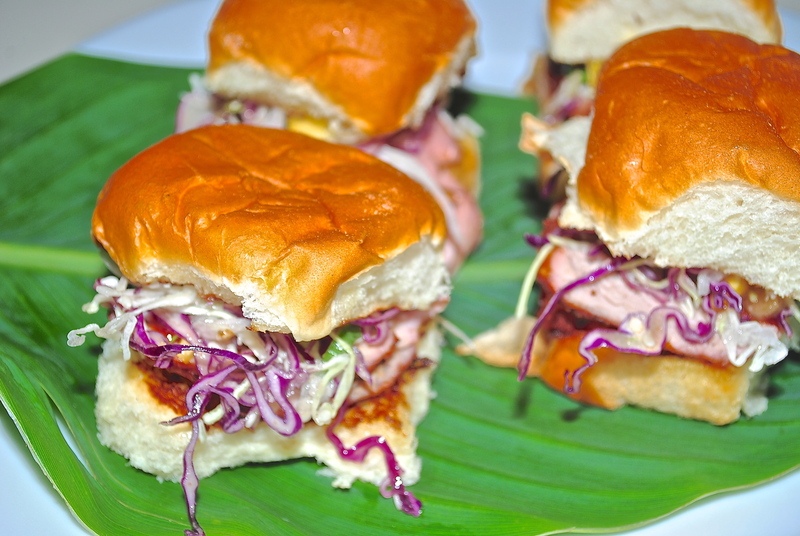 They had such a beautiful wedding and then honeymooned in Hawaii so I thought I would make these little Hawaiian Pork Sliders on their anniversary. These little sliders are great for any kind of party whether it’s at home, a tail gating party or even your bunco group which is where I’m taking mine. You can serve these open face or closed on the toasted Hawaiian roll. 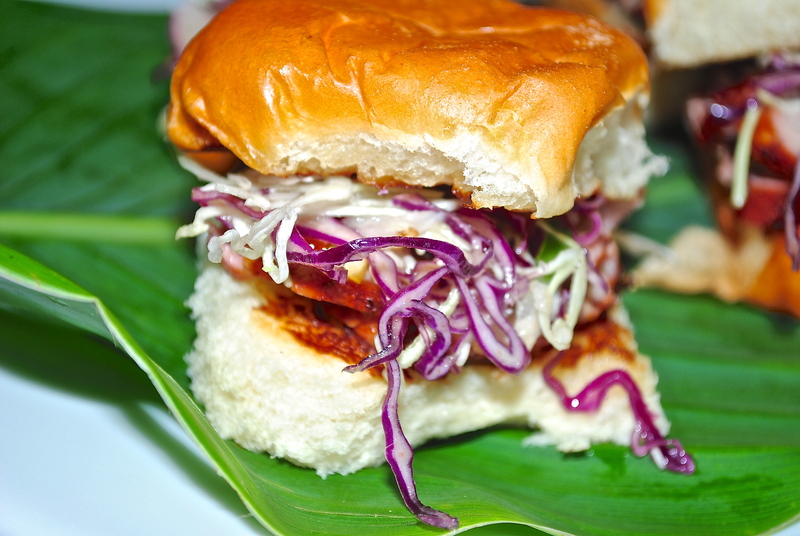 I don’t normally use Hawaiian rolls because they are sweet, but I think for this little slider with grilled pork, a crunchy slaw with a little pineapple and a kick of Texas heat they make the perfect bun. 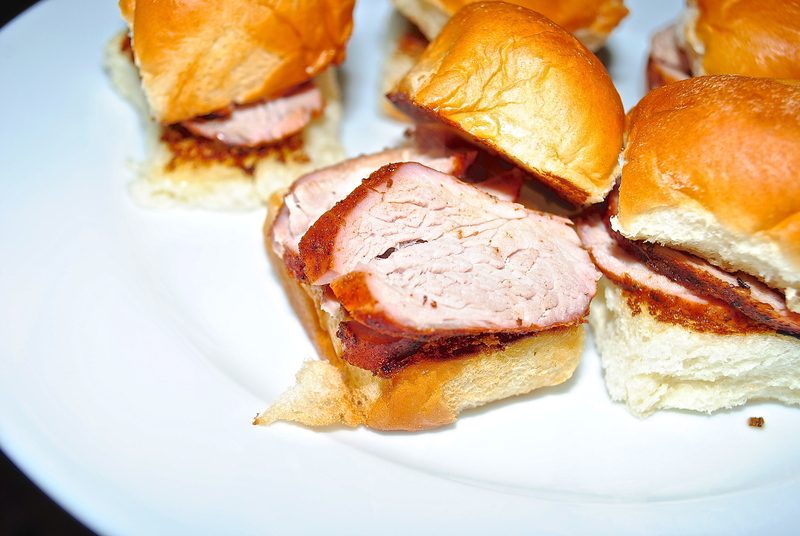 If you don’t want to serve this on the buns, just do the pork tenderloin with the sauce and serve with whatever sides you want. I think lining a dish with the slaw and putting the pork tenderloin in the middle and a then drizzle with a little of the sauce would be a beautiful presentation. 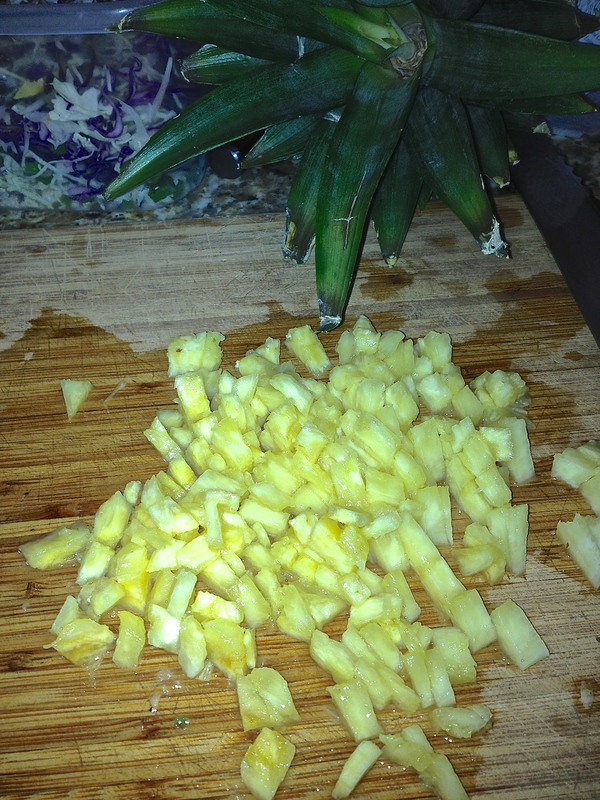 Chop the fresh pineapple in small pieces for the slaw. 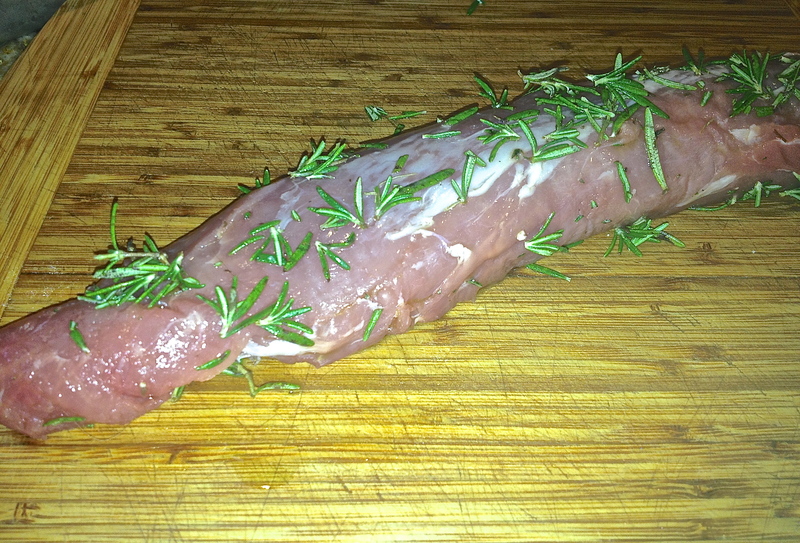 Rub the tenderloin with a little oil (any type) and sprinkle on some chopped fresh rosemary. 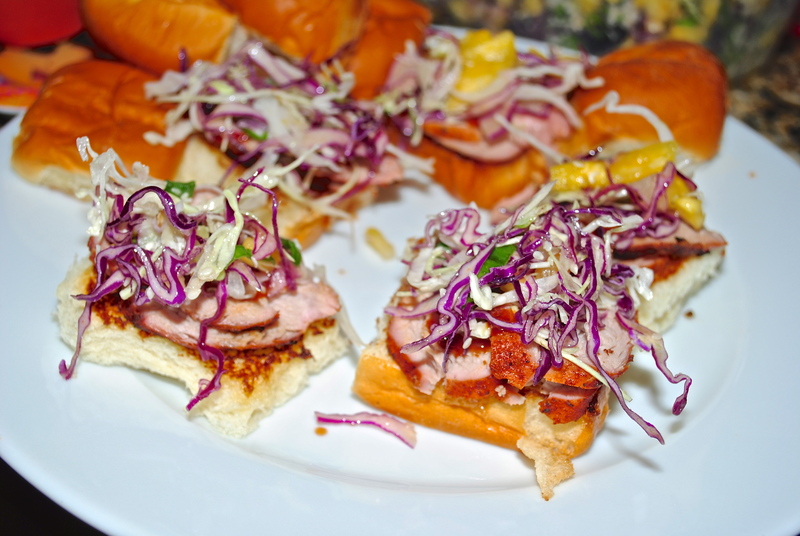 Top the split and toasted Hawaiian roll with some of the pork, then sauce, then slaw. These could be served open faced but the roll is delicious and sweet. Sauce. 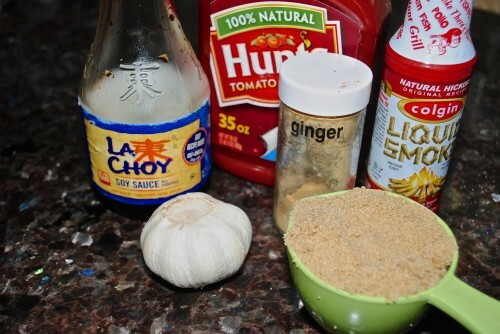 Mix all the sauce ingredients together and refrigerate. Cut the silver skin off the pork tenderloin. Rub with oil and sprinkle all sides with chopped fresh rosemary. Grill or cook until barely pink on the inside. I think my son grilled this one for about 20 minutes. All grills and ovens cook differently. You want 145° internal temperature and then rest for 3 minutes before cutting. 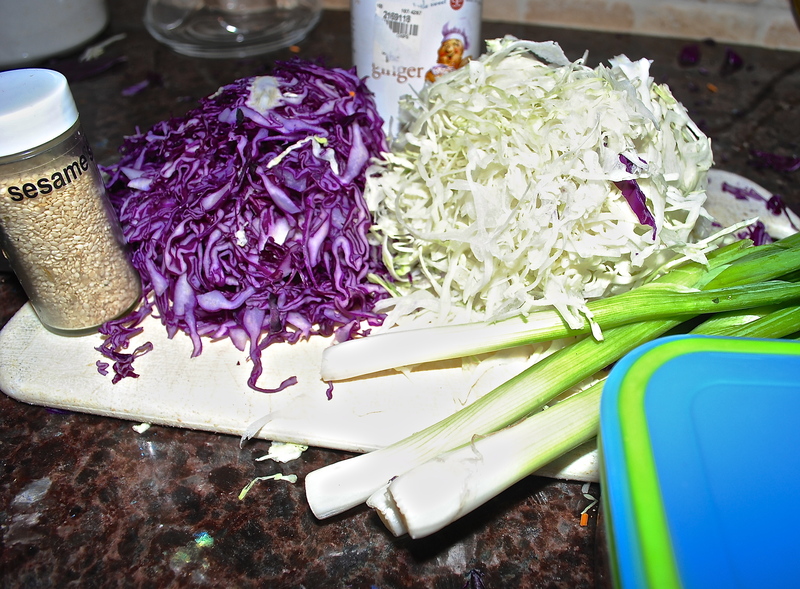 For the slaw, very thinly cut the cabbages and all the pineapple, onion, candied ginger (optional, could use fresh), sliced pepper, and sesame seeds. 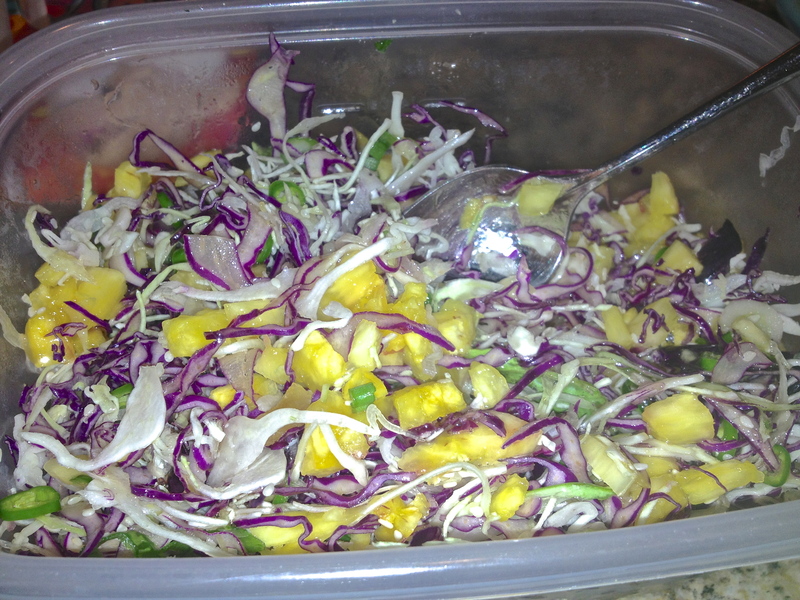 Mix the oil and vinegar and drizzle over slaw and toss until everything is coated. To assemble sliders, first split and toast the buns (you can butter if you want), top with 1 or 2 slices of the grilled pork, then cabbage and top bun.